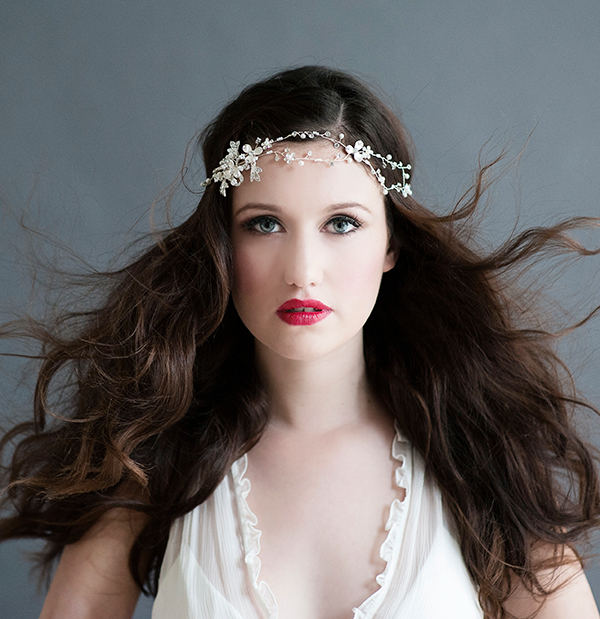 Stockists of leading bridal accessories by Ivory and co and Lily-Bella. 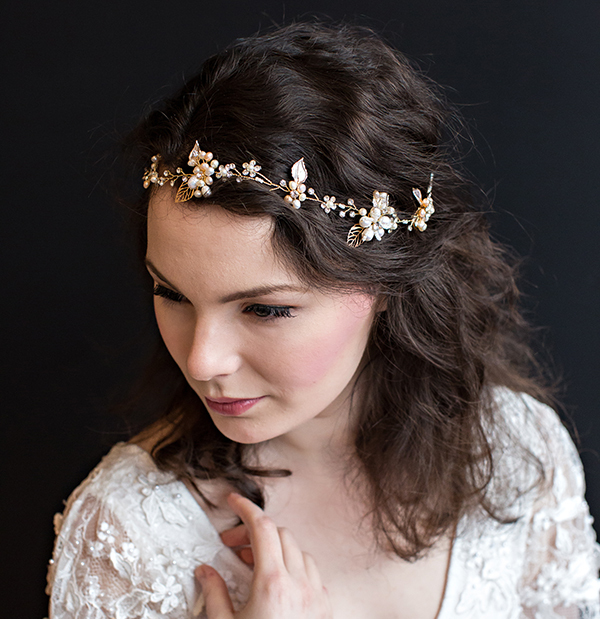 Carlotta by Ivory & Co.
Collette by Ivory & Co.
A side head piece set in a 1920s pattern and adorned with ivory freshwater pearls. Alexandra by Ivory & Co.
A popular design. Brilliant cut solitaires, ovals and marquisstones are used. Looks wonderful with up dos as so much detail continues at the sides. Sylvie by Ivory & Co.
An intricate and pretty design. 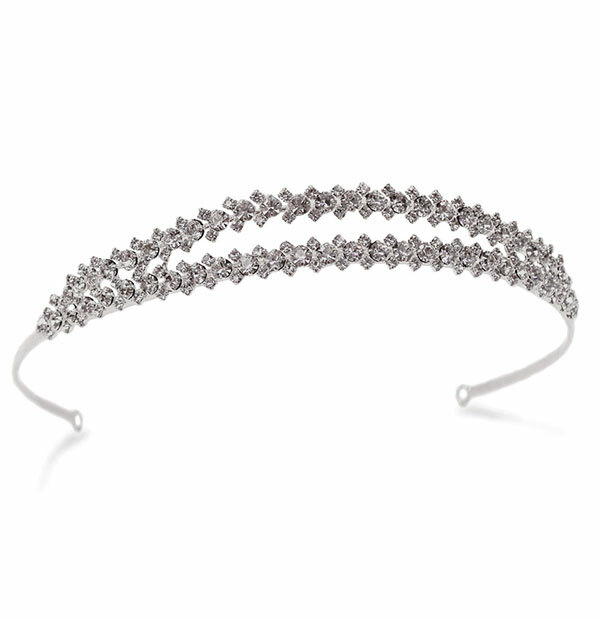 Can be worn as a tiara, bohemian style across the forehead, a choker and a belt. Looks fabulous paired with 1920s dresses and classic alike. 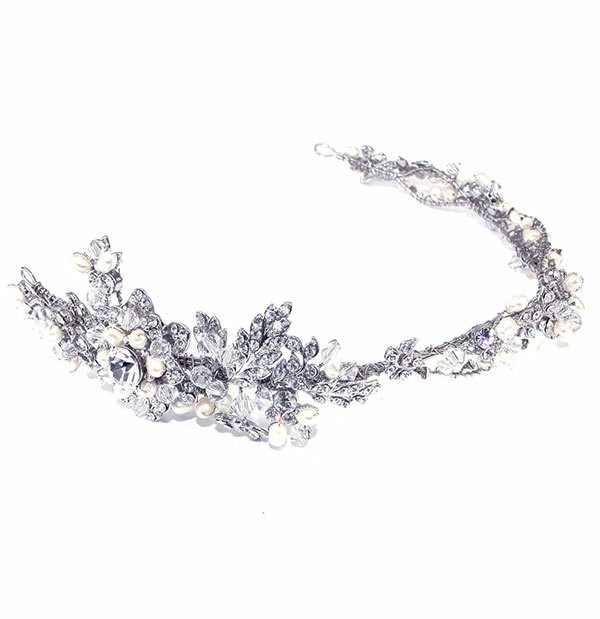 Arabella by Ivory & Co.
A glamourous tiara inspired by victorian opulence. Would compliment a classic gown style. Camilla by Ivory & Co.
A pretty hair clip for the bride wanting less but still accessorising with style. Compliments all designs and is perfect for fine hair. 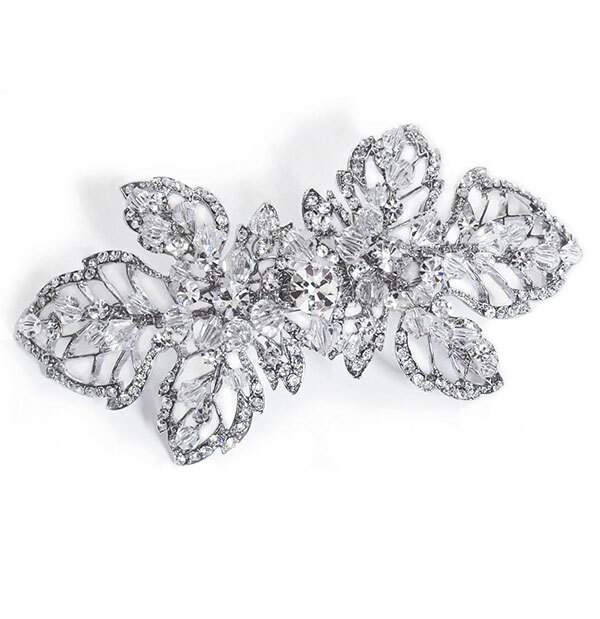 Cassie by Ivory & Co.
Sparling solitaire cur stones set in a pretty design of a single flower or leaf. Often bought in multiples for brides with up dos. 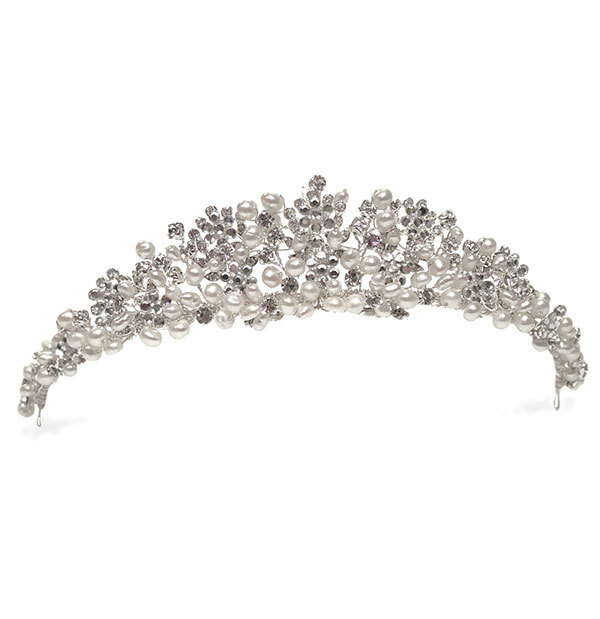 Eclipse by Ivory & Co.
A perfect vintage feeling tiara richly jewelled and created using cluster of abstract stones cut in small medium and large solitaires. 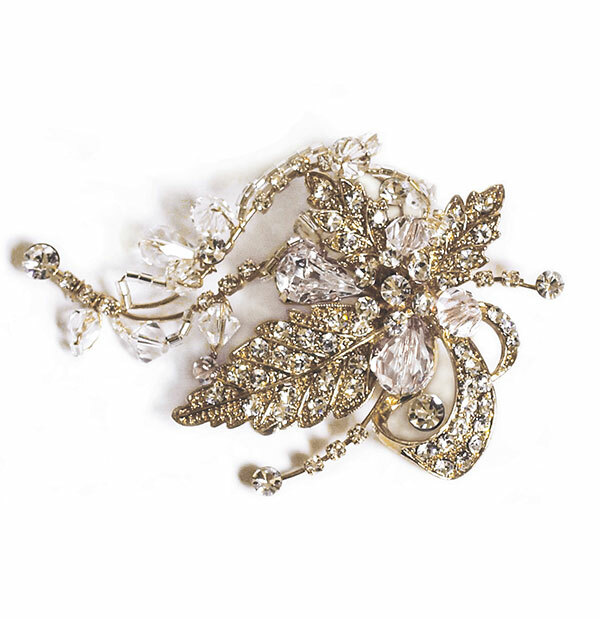 Gizelle by Ivory & Co.
A stunning hairvine mimicking blossom and leaves using solitaire stones, cut crystal beads and pearls. Flexible and comfortable to wear. Magnolia by Ivory & Co. 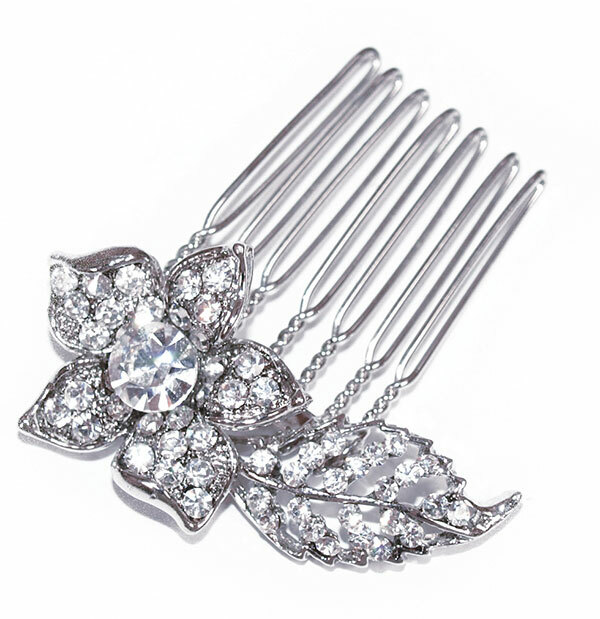 This pretty hair clip compliments dresses with floral detailing and would look stunning for beach or garden ceremonies. 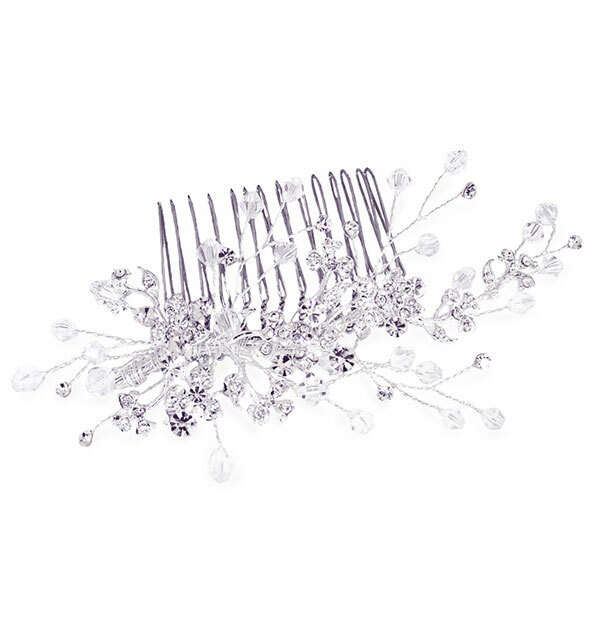 Medium silver crystal comb by Ivory & Co.
A very delicate and subtle haircomb. Cut solitaire stones are set in a flower and leaf design and are interspersed with crystal beads which really sparkle. 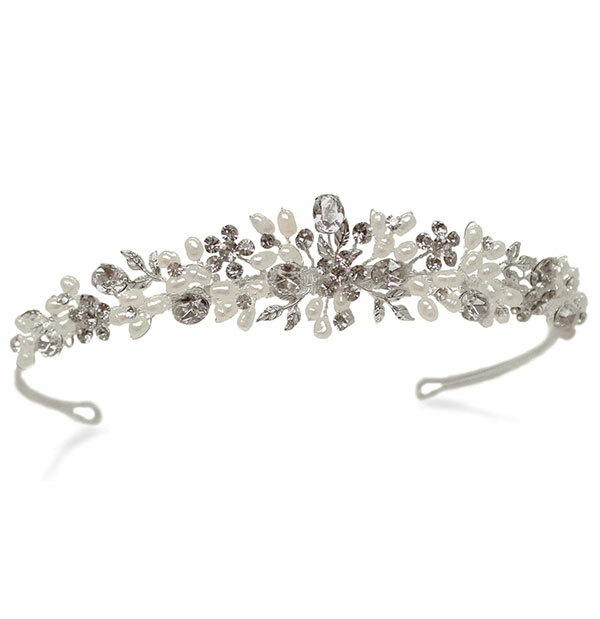 Melody by Ivory & Co.
A gorgeous tiara created using cut solitaire stones set in floral patterns accented by large oval cut stones, delicate silver leaves and tiny ivory freshwater pearls. 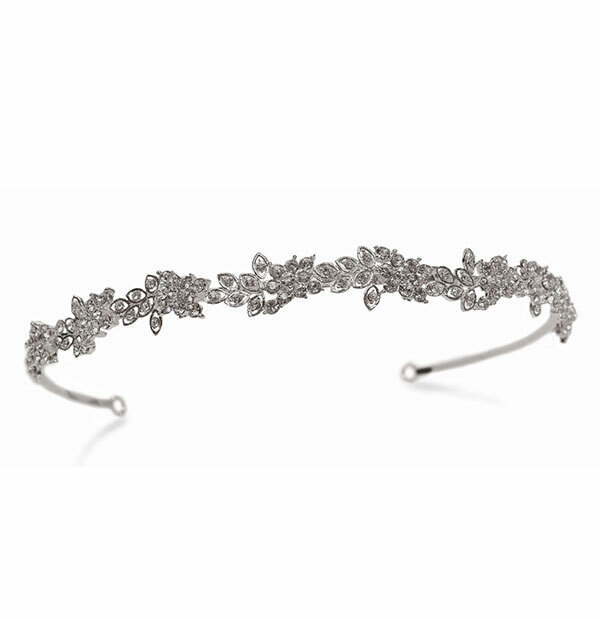 Queenie by Ivory & Co.
A pretty delicate tiara created using an array of tiny solitaire cut stones arranged in floral patterns accented by leaves and vines. Would suit brides wanting an intricate fairytale theme. 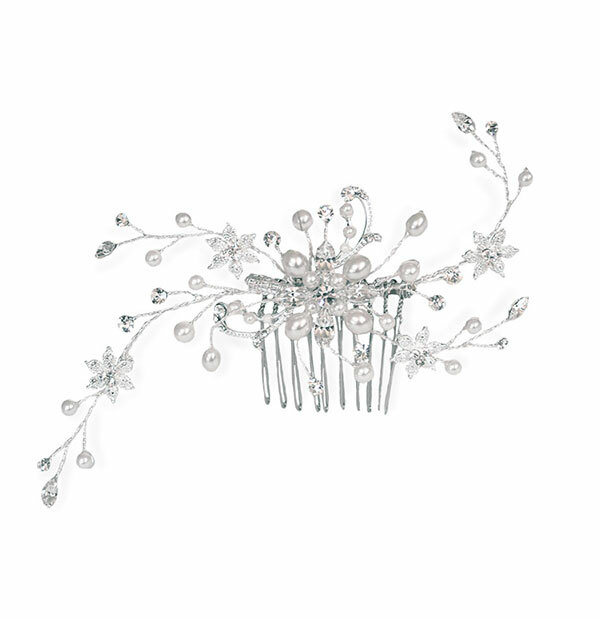 Silver Pearl Spray Comb by Ivory & Co. This dainty haircomb looks very chic with spohisticated dresses and hairstyles but also compliments more flowing grecian styles. 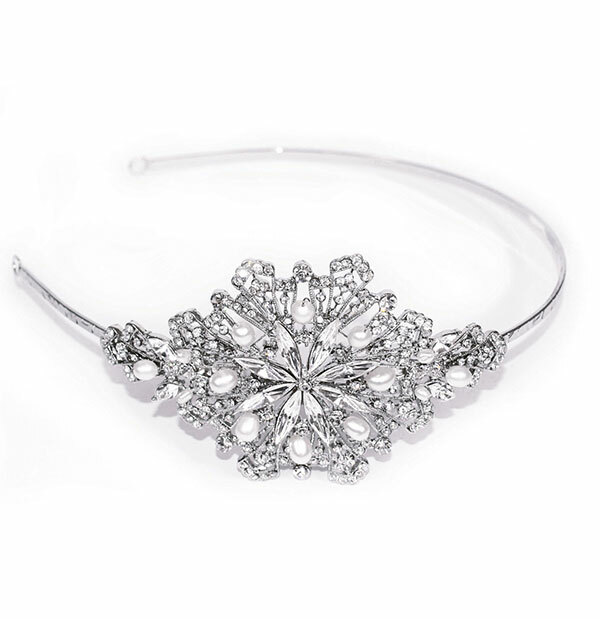 Violet by Ivory & Co.
An understated and pretty hairband. Brilliant cut solitaire stones set in an intricate pattern of flowers and leaves. Perfect for weddings abroad, or a more delicate design for summer/spring weddings. 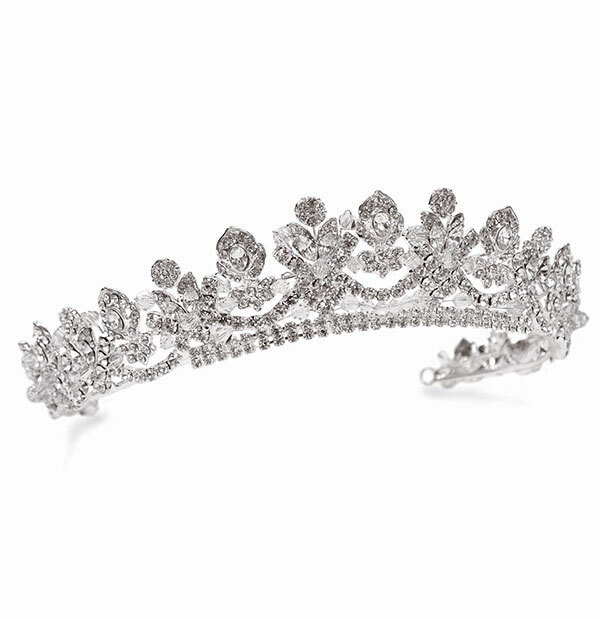 Joy by Ivory & Co.
A tiara that shines because of its simplicity. Created using brilliant cut solitaire stones set in a double band design. Very versatile with different dress looks and hairstyles. 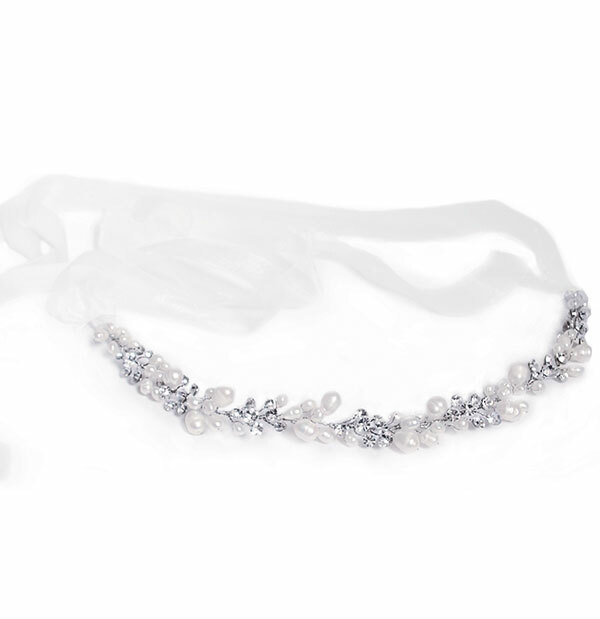 Layla by Ivory & Co.
A stylish and elegant design made using stones set in a crescent band and adorned with dazzling cut crystal beads and pearls. Influenced by grecian and Renaissance jewellery. 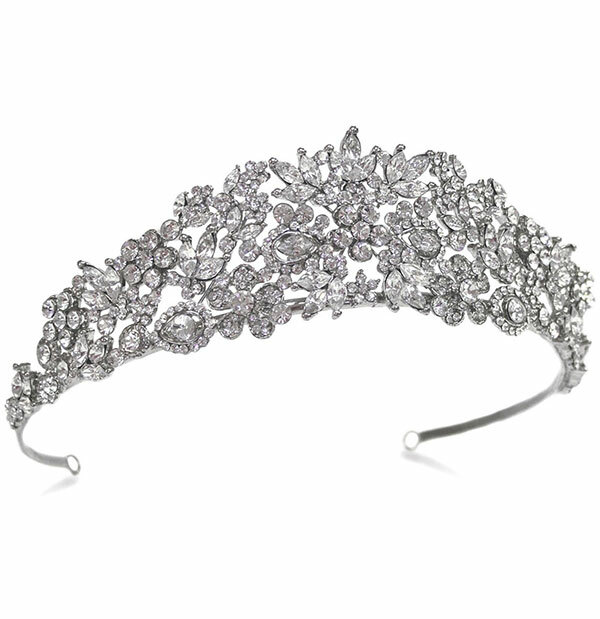 Maria by Ivory & Co.
An elegant tiara with the design influences by chic 1920s to 1950s jewellery. Looks particulalry great with hair up and elegant gowns. 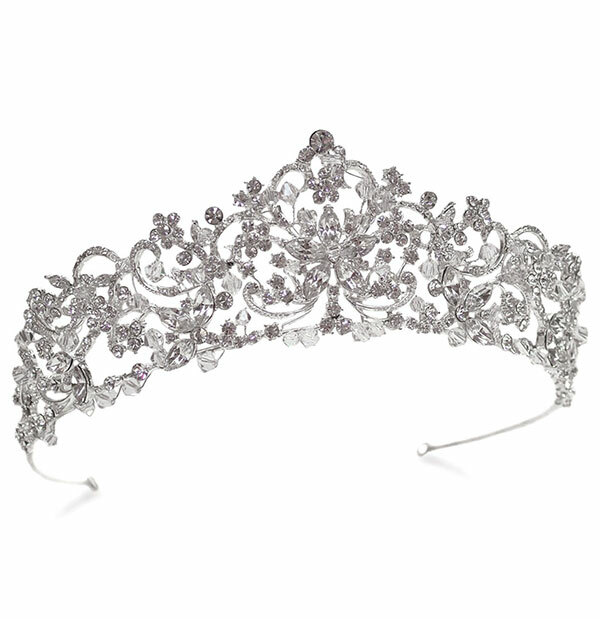 Princess Grace by Ivory & Co. 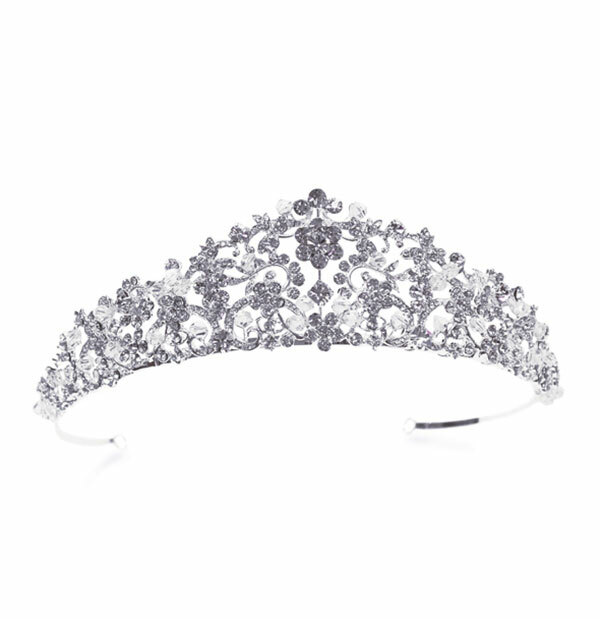 This tiara appears authentic and regal. Cut solitaires and marquis stones are used to create this formal style with royal influences. Best for brides wanting graceful, classical stying. 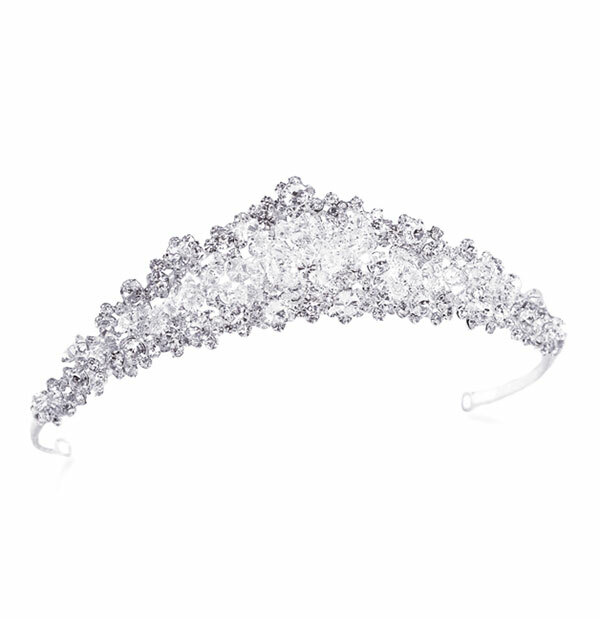 Romance by Ivory & Co.
A tiara of sparkle. 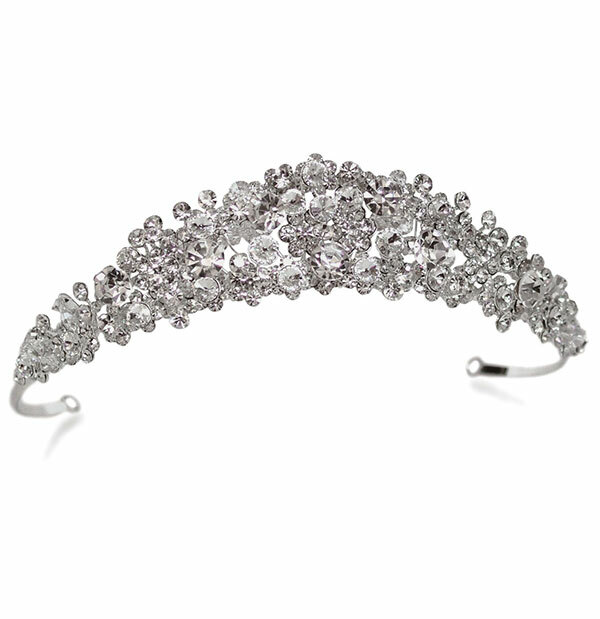 Created using an array of brilliant cut solitaire stones arranged as the outside pattern of this crescent band. The shape gives great versatility and suits many different hairstyles and dresses. Sierra by Ivory & Co.
A dainty design that uses cut solitaire stones set in floral patterns accented by large oval cut stones, delicate silver leaves and tiny ivory freshwater pearls. 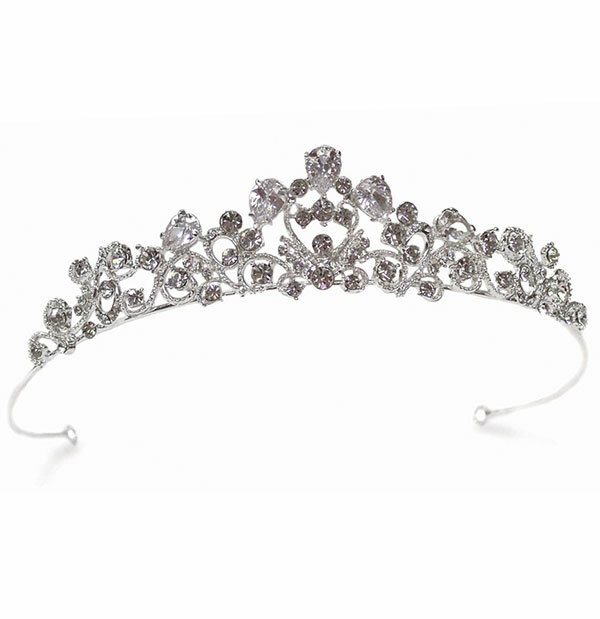 A traditional Princess shape tiara made from Austrian crystals that are cut as diamonds and clear beads to make it dazzle. 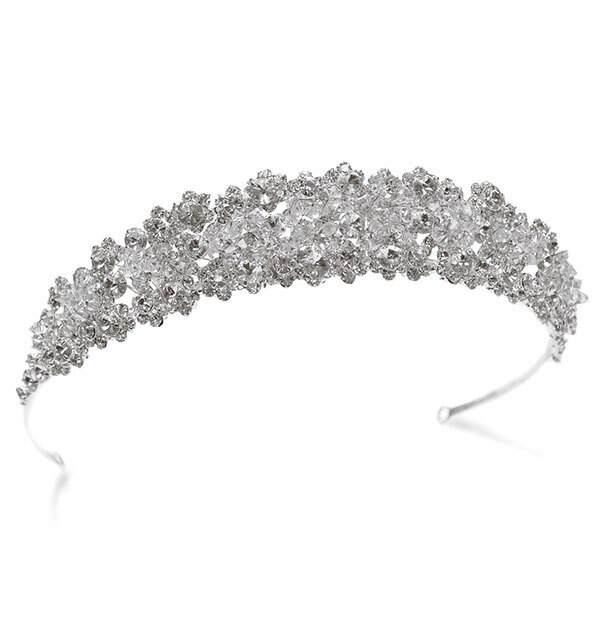 This classic tiara is made from delicate solitaire stones and crystal cut beads. The design is so versatile that it will suit may hairstyles and wedding dresses. Perfect for brides that want a simple yet elegant tiara. 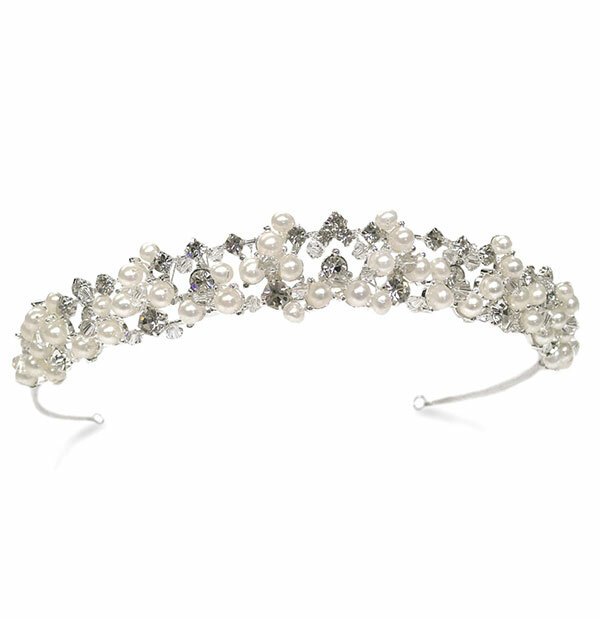 Made from freshwater pearls and crystal cut beads. Plated in 14k gold this clip is stunning and subtle. Fasten with a crocodile clip it will stay secure even in fine hair. 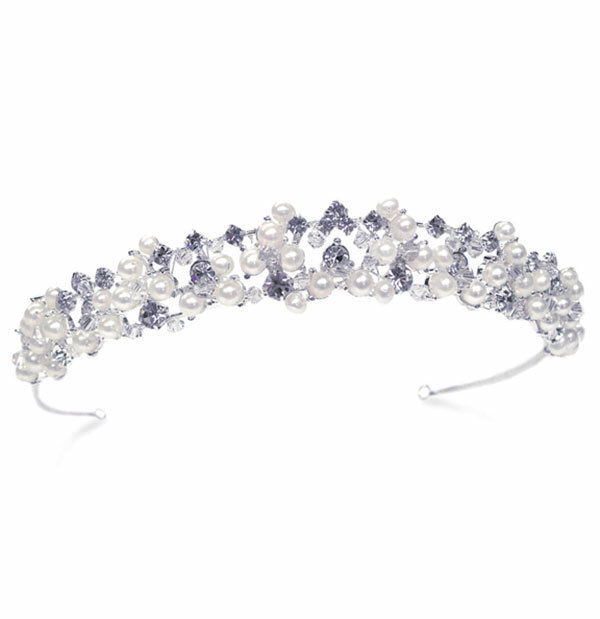 A traditional tiara with floral design made from pearls and crystals that will shine all day long. 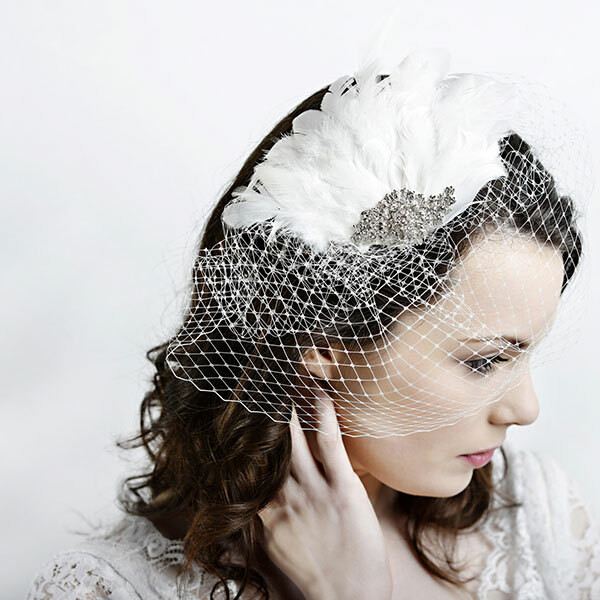 Annie is a really elegant clip that sits perfectly over a low bun and veil. 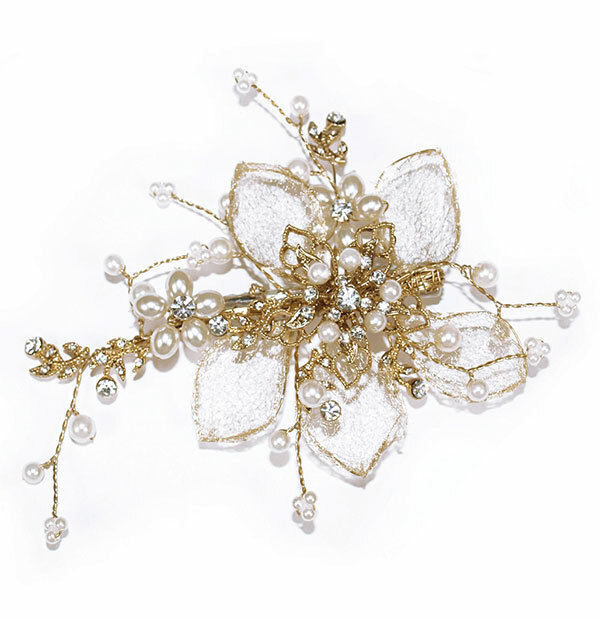 This pretty hair vine has flowers and leaves made from pink and ivory pearls and rhinestones. Available in silver or rose gold. 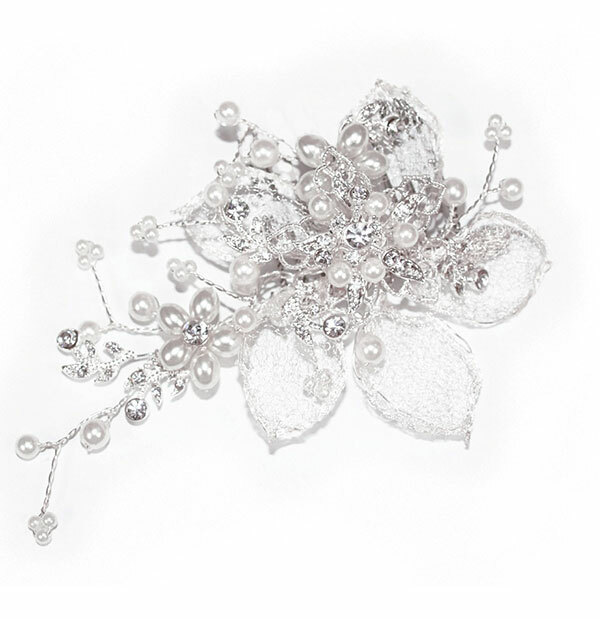 A delicate asymetrical hair vine, featuring flowers made from pearls and rhinestones on a silver wire. Can be worn in the hair wherever it suits you.